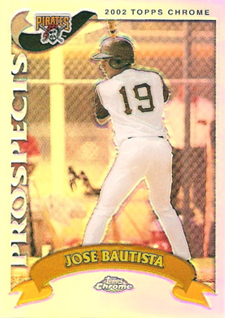 Check out our rookie card checklist of reigning American League home run champion Jose Bautista, who is proving that his breakout performance of 2010 was no fluke. 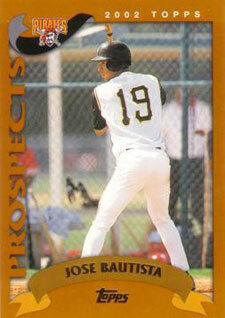 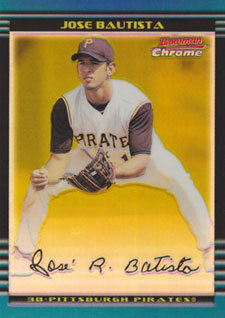 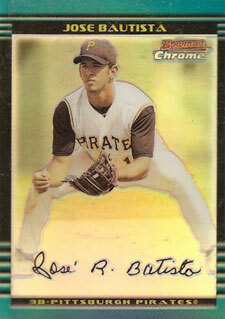 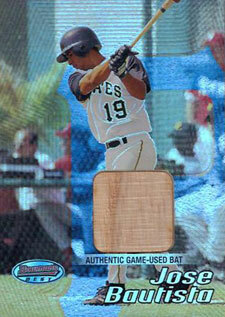 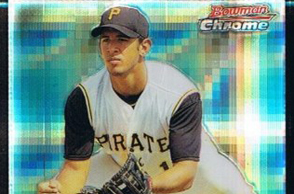 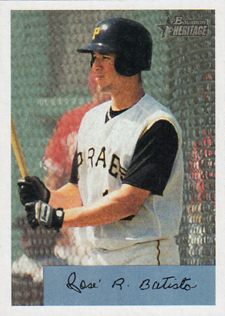 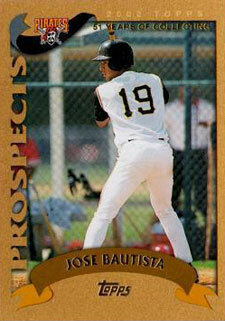 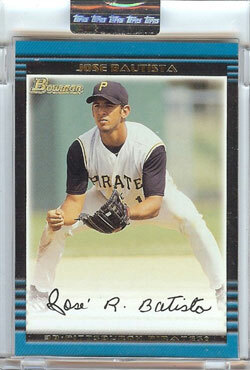 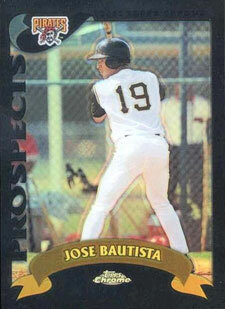 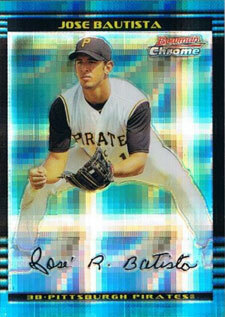 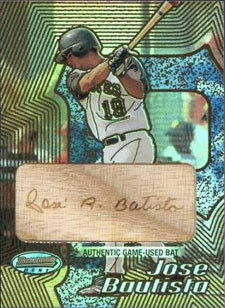 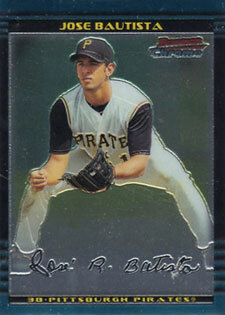 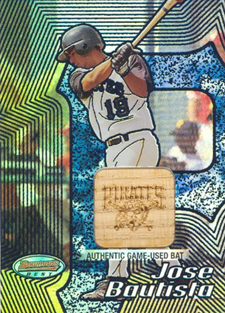 Appearing in several sets from Topps in 2002, Bautista didn't have any autograph rookies, although Bowman's Best does feature a base card and several parallels with game-used bat pieces. 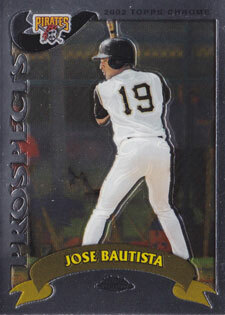 Below is a comprehensive list of the Blue Jays slugger's rookie cards, inserts and parallels released in 2002.